The world-famous Mormon Tabernacle Choir will be singing the same tune but under a new name. The choir was renamed Friday to strip out the word Mormon in a move aimed at ending shorthand names for the religion that have been used for generations by church members and others. The singers will now be called the Tabernacle Choir at Temple Square, The Church of Jesus Christ of Latter-day Saints said in a statement . It’s a nod to the home of the choir for the last 150 years, the Tabernacle, located on church grounds known as Temple Square in downtown Salt Lake City. The group had been known as the Mormon Tabernacle Choir since 1929, when it began broadcasting a weekly radio program to a wide audience. Church President Russell M. Nelson announced guidelines in August requesting that people stop using “Mormon” or “LDS” as substitutes for the church’s full name. He said “Latter-day Saints” was acceptable shorthand. The faith holds that the full church name was given by revelation from God to founder Joseph Smith in 1838. The term Mormon comes from the church’s signature scripture, the Book of Mormon, which followers believe is based on the record keeping of an ancient prophet named Mormon. But Nelson in his August statement urged people not to use Mormon or LDS. The “Lord has impressed upon my mind the importance of the name he has revealed for his church,” he said. Speaking later in Canada, Nelson acknowledged that it would be a “challenge to undo tradition of more than 100 years” but said the name of the faith is “not negotiable,” according to a video posted on a church website. He said church members need to use the proper name if they want outsiders to use it. The name change will be a big effort for the Utah-based faith that counts 16 million members worldwide. The renaming of the choir is the first step with many changes still to come. The church still uses Mormon in its Twitter handle. The faith’s presidents are considered prophets who lead through revelations from God. Nelson, 94, ascended to the post in January after the previous president died. The choir renaming comes a day before Nelson and other Mormon leaders are set to provide spiritual guidance and deliver church news at a twice-yearly weekend conference in Salt Lake City attended by nearly 100,000 people and watched by hundreds of thousands of others on TV and online. 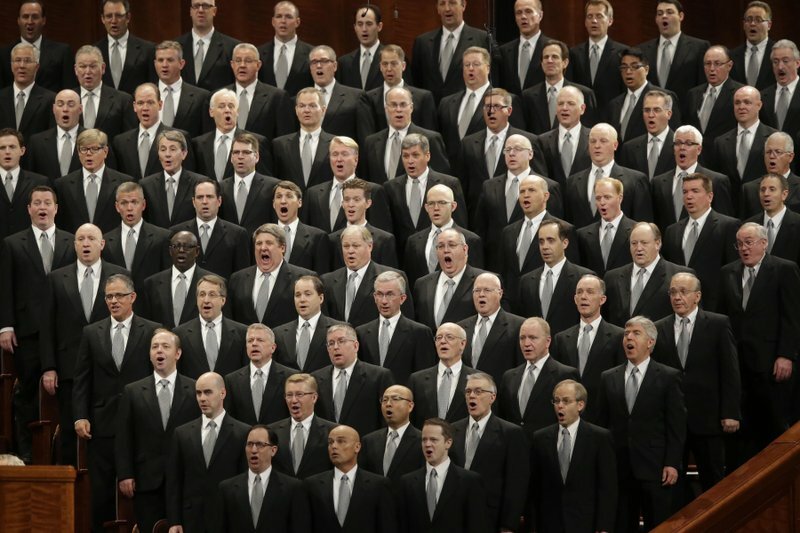 The choir of about 360 men and women sings at the conferences and has performed worldwide and at inaugurations of U.S. presidents, including President Donald Trump. Choir President Ron Jarrett called the name change an exciting opportunity for the choir to start a new chapter that aligns the group with Nelson’s request. He said the choir’s website and social media pages will be updated to reflect the new name. “It is a huge brand for the church. It’s been there for a long time and people recognize it,” Jarrett said. The faith previously embraced and promoted the term Mormon, including with a 2014 documentary about its members called “Meet the Mormons.” The church ran a series of “I’m a Mormon” ads on TV and billboards starting in 2010, aiming to dispel stereotypes by telling the stories of individual members. The church tried once before to insist on the use of its full name — in 2001 ahead of the 2002 Winter Olympics in Salt Lake City. The new effort says Mormon, Mormonism and LDS are not acceptable. Paula Froke, lead editor for The Associated Press Stylebook, which many news outlets follow, said the news organization is aware of the church’s guidelines. She said AP is monitoring how the names evolve in the church itself — including among members — and with the public. “Clearly, the term ‘Mormon’ is deeply engrained both in the church and in the minds of the general public,” Froke said. Nelson did not speak Friday, and the church did not provide comments from him about the choir name change. Rechristening the high-profile choir puts teeth into the effort to shed the longtime nickname and signals more changes to come, said Patrick Mason, a religion professor who studies the faith at Claremont Graduate University in California. That doesn’t mean it will be easy. “If they want to learn more about the religion, they are going to google Mormon,” he said. Many members of the church have fond childhood memories of listening to the choir, sometimes affectionately dubbed as MoTab. “There really won’t be much a difference. Same music, same beautiful sound. It’ll just look different on the brochures,” said Deborah McMullin of Stoughton, Wisconsin who visited Temple Square on Friday. Weeding out use of Mormon and LDS completely, though, is going to be difficult, said 32-year-old Chad Guertin of Magna, Utah. Associated Press writers Lindsay Whitehurst in Salt Lake City and Regina Garcia Cano in Las Vegas contributed to this report.